You might have noticed that I haven't posted on the blog since August...that's because I had baby #2 in September. 'Nuff said. Baby #2, a little girl, is now three months old. When people ask me "how it's going," I like to use the old the expression "the days are long, but the months go by so fast." Of course we are thrilled to welcome another baby into our family, but certain changes occur in a mom's life when a second child enters the picture, none of which people discuss in this world of perfect Facebook photos and flawless Christmas cards. 1. Mom's "naptime" disappears. (But what about simultaneous naps? you may wonder. Um yeah...those are the equivalent of finding 20 bucks in your winter coat pocket: Lovely, but oh-so-rare). I rarely have any alone time at this point; as soon as one is tired and ready to sleep, the other decides he/she is up! 2. That hour or two of evening time spent with your husband after your child goes to bed? 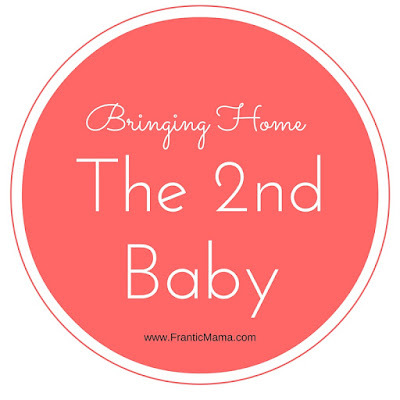 That's also pretty much vanished (we have found that in order to maximize the amount of time sleeping, we must go to bed immediately after the baby does) for now too. 3. You miss Baby #1. Okay, he's not really a baby anymore. And he still enjoys throwing tantrums, making [constant] demands on Mommy, and breaking things, but when you are faced with the fact that you simply cannot spend as much time with him, it's bittersweet. Adding a member to the family is the end of an era, and the beginning of another, but you miss that one-on-one time. 4. Here's the good one: It's really fun when they occasionally throw you a bone, and you catch the older one giving the baby a kiss, or the baby laughing at the older one. And your Christmas card now features two little beings you created. And you get to picture them growing up together and dream about your family as it grows up. It makes it all worth it (but it doesn't make it easy! ).